Many philanthropy-serving organizations engage in government relations and public policy work at the local, state and/or national level and have different capacities to do this work. Policy resources are easily accessible on this page. If you have resources to post, please share them online or by emailing Courtney Moore. The Public Policy Peer Community is for our members who work in government relations and public policy efforts for their organizations. Policy Listserv (publicpolicy@lists.unitedphilforum.org)- You must be a member of the Forum & this Peer Community to post to this list. 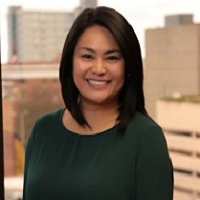 Guided by a passion for advancing opportunity, equity and inclusion for all communities, Meredith connects with and collaborates across Philanthropy Northwest’s broad network to strengthen the sector’s leadership and advocacy work on public policy issues. A fourth-generation Seattleite, Meredith brings a decade of experience in public policy, legal advocacy, cross-sector coalition-building, and engagement with diverse communities to her role as Senior Manager of Public Policy and Advocacy at Philanthropy Northwest. Meredith began her career in Washington, DC, as an attorney at Asian Americans Advancing Justice | AAJC, a national civil rights organization. She also helped lead policy initiatives for the National Asian Pacific American Bar Association. After returning to the Northwest, Meredith most recently was a partner with the VENG Group, a Washington, DC-based public affairs firm, working with non-profits and civic leaders around communications and advocacy strategies. Meredith holds a bachelor’s degree from Northwestern University’s Medill School of Journalism and law degree from the University of Washington. She is admitted to practice in Washington and the U.S. Supreme Court. Meredith enjoys spending free time traversing old haunts and discovering new places, especially coffee shops, in the many Seattle-area neighborhoods she considers home. She is also an avid Seahawks fan and loves the connection that brings with so many different people across the region. Go Hawks! Seyron Foo develops, organizes, and implements efforts to create a well-connected network of grantmakers and public officials in order to strengthen communities and advance the public policy goals of SCG’s member organizations and Philanthropy California. In this capacity, he provides public policy analysis to issues affecting the sector and key policy areas relevant to grantmakers. Additionally, he is responsible for educating and informing government officials about philanthropic efforts, and identifies opportunities to convene grantmakers and government to tackle the state’s most pressing social issues. 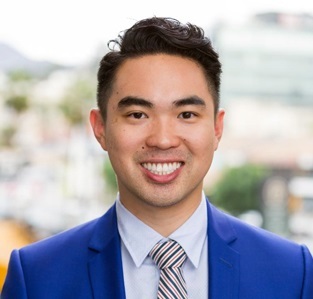 Seyron has experience in various government sectors, beginning his career as a legislative aide to the California State Senate Majority Leader, where he managed a diverse policy portfolio that included civil rights, transportation, and housing. His work led the successful passage of legislation in health, tenants’ rights, and banking reforms. Prior to SCG, he served in the City of Long Beach as the Senior Policy Analyst to the Director of Public Works, where he oversaw and managed citywide projects and led the Department’s press and community relations efforts. His work on public policy affecting cities and communities led to his selection in 2017 as a Next City Vanguard. In 2018, Seyron joined a cohort of ten individuals across philanthropy, nonprofit, and government selected by Independent Sector for the American Express NGEN Fellows. He earned his Master in Public Affairs from Princeton University’s Woodrow Wilson School and his B.A. in Rhetoric and Political Science from the University of California, Berkeley. The PolicyWorks Starter Kit has been created for use by the PolicyWorks Community of regional associations of grantmakers who have made a commitment to growing their capacity and increasing their work in government relations and public policy work. Sample Public Policy committee charters from regional associations in the PolicyWorks for Philanthropy initiative. Sample descriptions of RA affinity groups working on policy. Sample policy and procedures that provide a framework for public policy work and the process by which public policy committees adopt and express legislative positions. Sample public policy agendas, principles, and action plans from regional associations participating in PolicyWorks for Philanthropy. An overview of how foundations and their grantees can participate in advocacy developed by the PolicyWorks for Philanthropy community. 501(c)(3) public charities may legally seek to influence legislation—in other words, lobby – subject to generous limits. In addition, private foundations and public foundations (which are public charities) may support public charities that lobby. Foundations should follow the following rules when making grants to grantees that lobby. This advocacy and civic engagement toolkit is designed for private foundations that want to educate and encourage their grantees about getting involved in civic and policy activities to increase organizational capacity and impact. This advocacy and civic engagement toolkit is designed for community and public foundations that want to educate and encourage their grantees about getting involved in civic and policy activities to increase organizational capacity and impact. This worksheet developed by the PolicyWorks for Philanthropy community can help regional associations develop strategies to reach policymakers. This checklist developed by the PolicyWorks for Philanthropy community can help you create strategies to reach policymakers. It focuses on seven core questions to explore and includes reflections from regional association leaders. Sample communications from regional associations and their grantmaker members to Members of Congress encouraging an end to the prohibition for Donor Advised Funds in the IRA Charitable Rollover. Sample leave-behind information for legislators developed by regional associations to equip their members with tools for engaging state and local candidates on the most important issues to philanthropy.